SA-based Alexandrina Council today launches its new inter-town wireless network that cuts more than $20,000 in annual communication costs between council premises in Goolwa and Strathalbyn. With a two-and-a-half-year payback, the wide area wireless network eliminates expenses relating to the annual cost of fixed telephone lines, data lines and calls between council premises in the two towns. 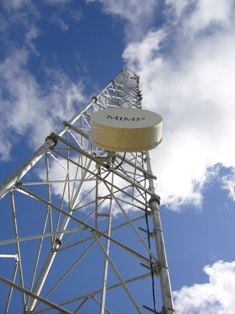 Designed by MIMP Connecting Solutions, the $200,000 network runs at 200 megabits per second (Mb/s), using a microwave tower to create a 35km wireless connection between the two towns. The new network delivers additional savings by eliminating the carrier costs of connecting the main council office in each town with eight outlying offices, such as depots, community centres and landfill facilities. Alexandrina is a thriving community which covers an 1800-square-kilometre area on the picturesque Fleurieu Peninsula south of Adelaide. Diverse industries in the area include tourism, viticulture, general farming and dairying, fruit production, manufacturing, engineering and boat building. Mayor Kym McHugh said the new network would pay for itself in less than two-and-a-half years compared to the cost of connecting all premises via a telecommunications carrier. “We’ve completely modernised our phone system and rolled it out to more premises, but are saving about $20,000 a year in line rental and data costs by disconnecting a large number of commercial phone lines and Internet services,” he said. 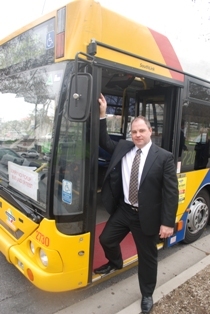 Australia’s first Internet-enabled bus hits the roads for a six-month pilot program in Adelaide today, providing an advanced transSpot™ Real-time Passenger Information System and real-time security. It also offers free Web access and free gaming programs to passengers. Dubbed i-Commute, the system has been developed and funded by a coalition of technology companies including MIMP Connecting Solutions, transSpot™, Cisco, Adam Internet, Podmo Mobile and Webshield Content Filtering. Also, the University of South Australia's Institute for Telecommunications Research assisted in testing the system. Wireless network specialist MIMP has won another National Electrical & Communications Association (NECA) award in SA for a wide area network it developed for use in the forests of South Australia. MIMP’s network for the SA Department of Agriculture, Fisheries and Forestry collected the NECA award for a voice and data project that cost less than $500,000. The licensed and unlicensed microwave wide area network, which has a 60-megabit full-duplex capacity, provides a platform to distribute forestry applications through the Greater Mount Lofty and the South East areas of the state.